"The darbuka, aka doumbek or Arabic tabla, is a chalice drum. It holds an ocean of sounds. Its voice gauges the tempo and feel of Middle Eastern music." Rami Tabla is back in Portland, Maine, for a workshop on Mideastern rhythms and technique at Bright Star World Dance. Enjoy a small group session with the fun-tastic Rami! In this class, students will explore and refine techniques, sounds, and riffs on the drum using Arabic, Turkish, and regional rhythms of Upper Egypt/Nubian/Sudanese tradition. Level is open, but we may start basic and work rhythms into a group solo piece with improvisation. If there is an interest we can cover basic split hand technique and exercises. Darbuka (aka tabla or doumbek) welcome. Frame drum or riq welcome. We have a few drums available to borrow, please let us know when you register if you'll need one. Intended for: beginning to experienced students of Mideast percussion - some previous study is helpful but not required. Rami "Tabla" El-Aasser performs at concert halls, cafés, clubs, and festivals worldwide with groups such Alsarah & the Nubatones, Zikrayat, and Raquy DÜM. He also participates in theatre productions, including appearances in the 10-Tony-award-winning Broadway musical The Band's Visit. Rami's grooves can be found on many recordings, soundtracks, and live theatrical scores. Closer to home, one may also find him at NYC bellydance and tarab parties. Rami plays both Arabic and Turkish style on the tabla and other drums in the percussion family. He started out drumming in the Liberty High School Grenadier marching band of Bethlehem, Pennsylvania but always had an Egyptian tabla in the closet. Since 1999, Rami came to find some teachers in both the Mideast and New York City. He has had the pleasure to study and perform with some contemporary Turkish and Egyptian percussion masters, including Said el Artist, Ashraf El Din Hassan, Khamis Henkesh, Bunyamin Olguncan, and Raquy. 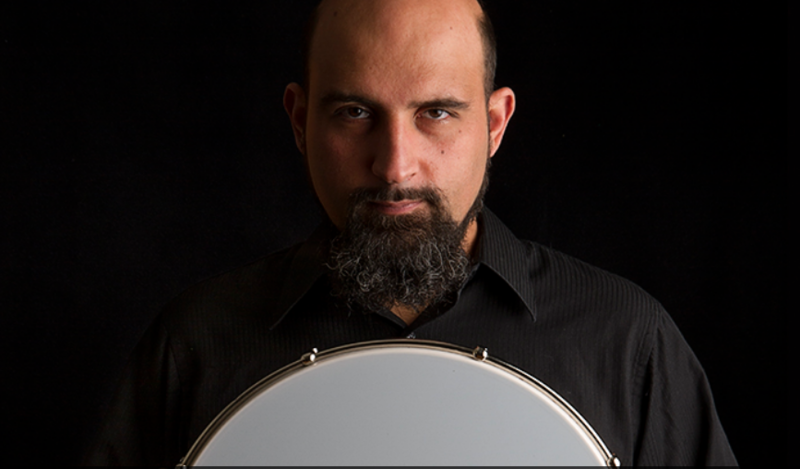 He teaches Arabic percussion through workshops, private lessons, and at semiannual camps in Goshen, NY. Add me to Rami's mailing list, I want to know about future workshops and performances! Registration can be transferred to another attendee with written notice via email from the original attendee. In case of weather cancellations the workshop will be rescheduled and all attendees will be given the option of transferring to the new date or receiving a refund. Ages 12 and up are welcome. Students under 18 must have a parent or guardian present at check-in prior to the workshop. This workshop takes place in a third floor walk-up. We're in a dance studio, which means shoes must be left at the door. Tap water is available. Wi-Fi is not. More info: Check out the Facebook event for updates, or contact Bragita . Important: be sure to click "Return to Merchant" after checkout to complete your registration.